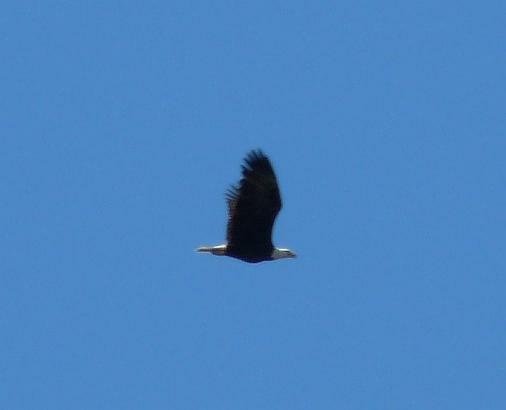 Our nation's bird, the Bald Eagle, is flying overhead. It's mate was flying with it. Don't know if they were fishing, or something else?